Agastache 'Blue Fortune' is a wonderful perennial for late summer colour. It is drought tolerant, easy to grow and the foliage looks attractive all season. The lavender blue bottle-brush like blooms are produced over a long period in late summer on strong upright stems. The bloom remains attractive for several months. 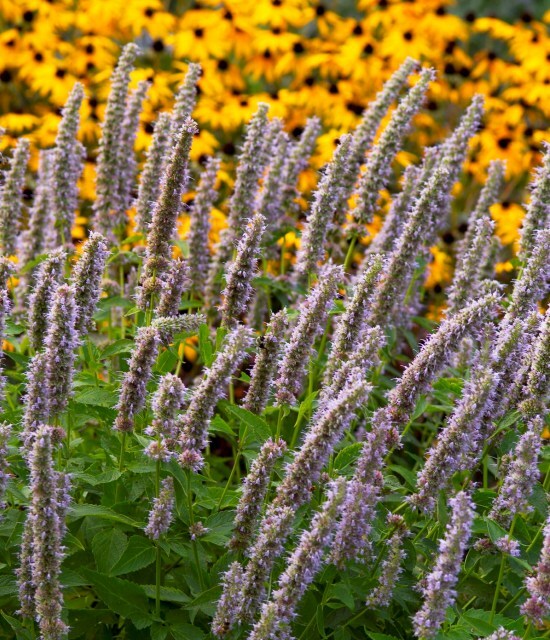 The leaves have the scent of Anise when rubbed, hence the common name of Anise Hyssop. This is an easy plant to use in any sunny border design because the colour compliments all other colours. Agastache 'Blue Fortune' is a very easy plant to grow. Average, well drained soil in full sun will suit this plant. The foliage is very disease resistant and, because of the herbal smell, seldom bothered by deer or rabbits. Butterflies and bees will smother the flowers when it is in bloom. 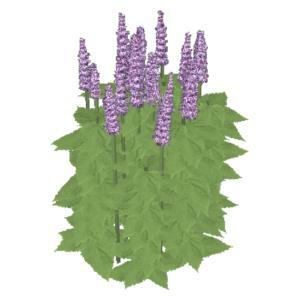 It is a sturdy plant that does not need staking. Cut it to the ground in late fall.